One or more rounds of golf on Kingsmill’s River or Plantation Courses with additional golf at other popular Williamsburg area courses. Stay onsite in condo lodging with full kitchen and living room and enjoy Resort dining Elements 1010 or the James River Landing Grill. Want to upgrade this trip? 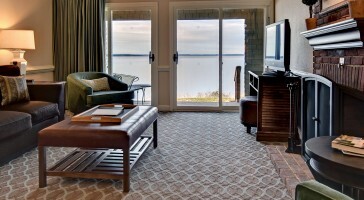 Ask about lodging in Private Vacation Homes available exclusively to Virginia Golf Vacations! 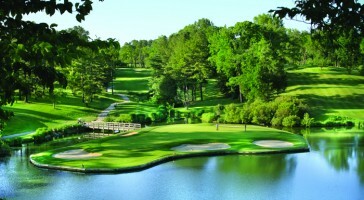 This great Kingsmill golf vacation package from Kingsmill Resort and Virginia Golf Vacations is one of our most popular trips. 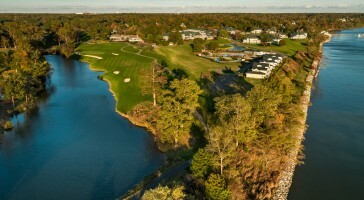 Golfers get the best of both worlds they can stay onsite in multi room golf condos, play the famed Pete Dye designed River course plus their other favorite Williamsburg courses nearby including another top 100 course the Golden Horseshoe’s Gold Course, as well as Fords Colony, Royal New Kent and many more.